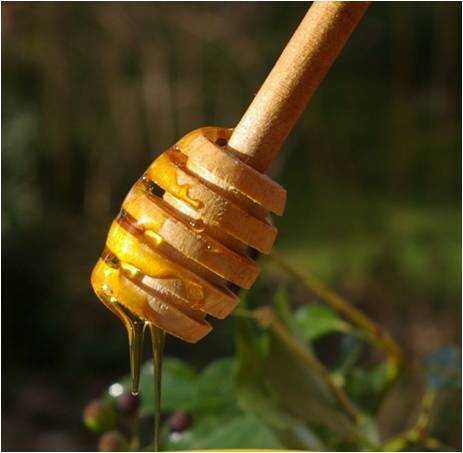 Is honey an effective treatment against cold sores (herpes)? Certainly, honey has been used for centuries as a treatment for wounds - although the use of honey for all kinds of medicinal purposes (some quite bizarre!) since ancient times. More recently, research has produced some interesting results for Manuka honey and efficacy agains MRSA. As a result, in recent times people have investigated the possibility of using honey for a variety of other skin afflictions, such as burns and acne. One of the areas for which honey is often promoted as a treatment is its use to treat herpes simplex infections – both oral (cold sores) and genital - i.e. the use of honey for cold sores. Cold sores around the mouth (labial herpes) are caused by the herpes simplex virus (There are two strains, known as HSV-1 and HSV-2) , and they usually clear up on their own after about 7 to 10 days, though a person can have repeated outbreaks. cold sores around the mouth (usually on the edge of the lips) start with a tingling sensation. Sores then appear, which are fluid filled. Unfortunately, cold sores are highly contagious. In addition, cold sores can be painful and can cause much embarassment for the sufferer, so it's no surprise that those who get cold sores, are keen to find an effective solution. Traditional treatment for cold sores is usually an anit-viral cream or treatment, such as one containing acyclovir. Honey may have some proven efficacy against MRSA, so what about honey for cold sores? I can only find one (small) published clinical study that properly studies the use of honey in herpes infections - if you are aware of any others, please do contact me, because I am genuinely interested! I am interested in genuine clinical trials around this subject. The study by Al Waili(1) compared the use of honey with acyclovir cream for the treatment of recurrent labial herpes (cold sores around the mouth) or genital herpes simplex lesions. This was a small study (only 16 patients – 8 with labial herpes; 8 with genital herpes), but patients were treated alternately with honey and then acyclovir – i.e. the patients would be treated with honey for one attack and then with acyclovir for the next attack. It was found that for all the measures in the study (duration of attacks; pain; occurrence of crusting; mean healing time) honey generated better results than the acyclovir for cold sores and genital herpes.